The growing importance of health for humans. In order to deal with these challenges and use the trends at the same time, cities need to understand what measures and design changes in the infrastructure will be most effective and best appreciated supporting the growth of cycling in a city. 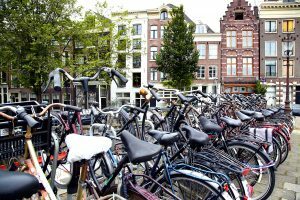 Already a few percent of car drivers converted to cycling may solve traffic jams and improve accessibility to your city. Also cycling is healthy and cycling is fun! The urban future offers visual insights, virtual experiences, boosting your city! 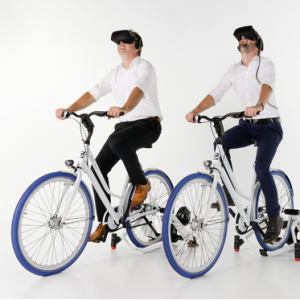 In order to deal with these challenges The Urban Future offers the state-of-the-art solutions CycleSPEX and CyclePRINT. 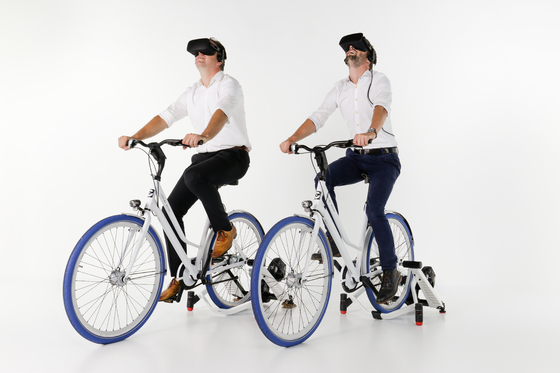 CycleSPEX provides Virtual Reality experience, visualisation and analysis on cycling in your city. 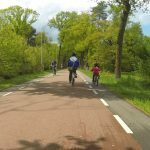 Understanding the conditions in your cycling infrastructure that improve cycling safety, city accessibility, cycling comfort helps you understand how to use the power of cycling as a transport mode to unlock your city. Learn more..
CyclePRINT provides visualisations and analysis on cycling in your city. Understanding cycling, cycling behaviour and your cycling network performance, helps you understand how to use the power of cycling as a transport mode to unlock your city. Learn more..
We look forward to meet you at our stand (1.609) and further discuss your cycling challenges.